I am often asked this question, ‘What will it take for Africa to develop?’ And my answer is simple: Invest in Micro, Small and Medium Enterprise (MSMEs) whether formal or informal. Unknown to many, they account for an increasing share of growth in GDP and jobs. Yet the typical response is, ‘Oh but they’re so high risk, we can’t possibly invest in that segment.’ And this is the issue. MSMEs are the most marginalised in terms of access to funds and technical support, across the continent. Then everyone sits around wondering why economic growth in Africa doesn’t translate to equitable growth. In the past year or so in Kenya, we’ve seen private sector being squeezed out of credit by government. The interest rate cap created impossible risk margins and actually inverted monetary policy. Normally, a reduction in interest rates should expand credit provision, yet in the context of an interest rate cap, this logic fails. Lower interest rates lower the risk ceiling of credit provision and actually contracts liquidity. And reverse is true too. So where are we? We’re in a situation where monetary policy does not follow traditional logic streams, and as a result, has led to the Kenyan government to push private sector out of credit streams due to the interest rate cap and their own aggressive and substitutive appetite for credit. So the question becomes: Given these extenuating circumstances, how can we revive credit to the private sector? There are two answers to that question. The first is incentives. Government has to create an incentives structure that extends credit to MSMEs despite the interest rate cap. The cap has led to a notable decline in credit provision to private sector. To stem this trend government has to create unique packages that allow private sector to access credit in the context of personalised assessment. The biggest problem with risk assessment at the moment is that it’s often done by junior officers with limited experience and who face hard and unforgivable targets. This has to change. Credit assessment should be done by the more experienced individuals who can understand the nuances of running an MSME. We need a holistic upgrade in assessing risk that leads to intelligent incentives provision. Because, if MSMEs are not financed, the economy is not financed. Government and financiers must create an incentives structures that drives funds to the MSMEs who create employment and fuel the economy. The second answer is development expenditure by government. First, government MUST prioritise development over recurrent expenditure. And that’s not enough, government should create structures that enable indigenous and domicile private sector to absorb the bulk of development spending. A failure to do so will translate to Kenyan taxpayers paying for services and goods that benefit outsiders. Let government ensure that the bulk of development spending goes to indigenous companies, particularly MSMEs. Only then will Kenyans feel the POWER of government spending. And in doing so, government will force MSMEs to improve their performance and develop the capacity to meet high level targets. In short without MSMEs accessing credit and being the target of government development spending, not much will change. There must be a fortitude of spirit and determination of mind that builds the domestic private sector. This entry was posted in Africa, Development economics, Economics and tagged business, Credit, Entrepreneurship, Monetary Policy, MSMEs. African governments are deeply concerned with the continued scale of illicit financial flows out of the continent. 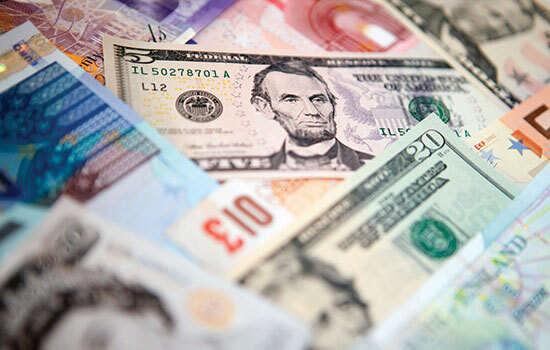 Experts say that Illicit Financial Flows (IFF) from Africa has doubled to USD 100 billion annually. The UN estimates that between USD 1.2 trillion and 1.4 trillion left Africa in illicit financial flows between 1980 and 2009 alone; this is roughly 63 percent of Africa’s Gross Domestic Product, and surpasses the money it received from outside over the same period. IFF far exceeds what the continent receives in aid and the fact that most are not aware of this seeds the impression that the world continues to be altruistic towards Africa when, it can be argued, Africa is financing the world. Not only do African governments view the scale of IFF as morally abhorrent, their concern has a level of pragmatism during a time when many governments seek increased investments into their nations. In order to build infrastructure, stimulate private sector and economic growth, African governments consider these flows to be robbing them of funds that are rightfully theirs, pushing them to enter debt agreements that could have been financed if IFF were stemmed. However, what is clear in this conversation is that the general African public does not seem to be as concerned about IFF as African governments are. This is due to several reasons the first of which is that some African-owned companies benefit from the loopholes that allow IFF to continue unabated. Through transfer pricing many African companies are able to retain more of their profits; and it’s doubtful they view this as immoral but practical business sense that keeps costs down. One is unlikely to see a strong African private sector push to address IFF. Secondly, IFF features nowhere near the top of the list of priorities for Africans as most are concerned with basics such as access to clean water, health services, educational facilities and adequate nutrition. It will likely be a long time before African masses begin to picket fence about IFF. Finally, one will likely not see any great pressure put on foreign governments by African populations concerning IFF because African populations generally do not view their own governments as responsible custodians of public wealth. Why should African populations put their weight behind their governments in insisting on an end to IFF when those governments are not financially accountable to them? Until African government stem fiscal indiscipline and mismanagement, IFF will be viewed as a difficulty African governments can grapple with on their own. Indeed, one can argue that the injustice of IFF in the minds of African governments, mirrors the injustice felt by African people when public funds are embezzled. As African governments starve their people of funds that are rightfully owed to the public, IFF can continue to starve African governments of funds they view as rightfully theirs. In short, African governments ought to clean up their act and demonstrate that they can responsibly manage public funds if they ever hope to get the African public to amplify their push to end IFF. Last week, the Trump administration announced the withdrawal of benefits for Rwanda to export apparel duty-free to the US under the African Growth and Opportunity Act (AGOA). This is largely seen as a response to Rwanda’s decision to ban second-hand clothes into its market. However, there is a larger trend at play here. We are in an era of trade wars, and serious global disagreements as to what is deemed fair, or not, in trade practice and agreements. Economic nationalism has found a new lifeline. Economic nationalism here refers to a situation in which a country tries to protect its own economy by reducing, for example, the number of imports from other countries. The largest proponent is of course the USA, where Trump has made clear that his ‘America First’ policy means the introduction of targeted protective trade measures against countries seen to be taking advantage of the USA’s ‘generosity’ in trade. However the USA is not alone, there is upsurge in nationalistic pride in the Global North aimed at safeguarding national economic sovereignty. The Harvard Gazette makes the point that Trump’s election and Britain’s exit from the EU are very encouraging to nationalist groups across Europe, because for the first time, there’s a shift away from international cooperation, sharing sovereignty, to addressing the sovereign rights of specific countries. This is exemplified in the rise of Marine Le Pen and other European nationalist party figures in the Netherlands, Hungary, and Greece who touted Trump’s win as a positive sign of things to come. Intermingled with nationalism is anti-globalization and anti-immigration policies, and economic nationalism which places the economic welfare of the country above all; especially above African nations. The USA and Europe seem tired of ‘babying’ Africa and being ‘soft’ on sovereign African states. They are acutely aware of the problems and suffering in their own countries and communities, and wonder why these issues remain unaddressed while their governments give Africa generous aid and trade packages. Africa needs to read the signs and prepare for the future. In an era of growing economic nationalism, Africa can expect fewer trade deals that are non-reciprocal where Africa gets access to massive external markets while the other party does not benefit from penetration into African markets. This is not to say there is no concern with the economic nationalist movements. A KMPG survey revealed that two-thirds of UK CEOs are most worried about the growing use of protectionism, which includes measures such as tariffs and quotas on imports, and view populist politics as the greatest threat to their growth. That aside, Africa must read the signs and note that the era of non-reciprocity is ending. Sadly, and frankly, this trend is emerging during a time when Africa is not prepared either in terms robust trade negotiation teams nor industrialised economic structures that can compete with foreign nations demanding access to African markets. This movement risks relegating Africa to the eternal provider of raw materials as foreign nations push manufactured goods into African markets. It is important that both African governments and private sector begin to address the imminent era of non-reciprocity. This entry was posted in Africa, Development economics, Economics, Political Economy, Rwanda and tagged economic nationalism, Global trade.